It’s been a while since I dusted off the old tour diary, but night one of a ten week European run seems like as appropriate a time as ever to bring it back. I’m writing from a cramped attic room in the Scottish Highlands, where the ceilings are so sloped on both sides of the bed that I have to crouch as I get up . Normally when I start a European tour, I fly overnight and land on the morning of the first show, but this time around I decided to give myself a little cushion and arrive a day early to decompress and adjust to the time difference. 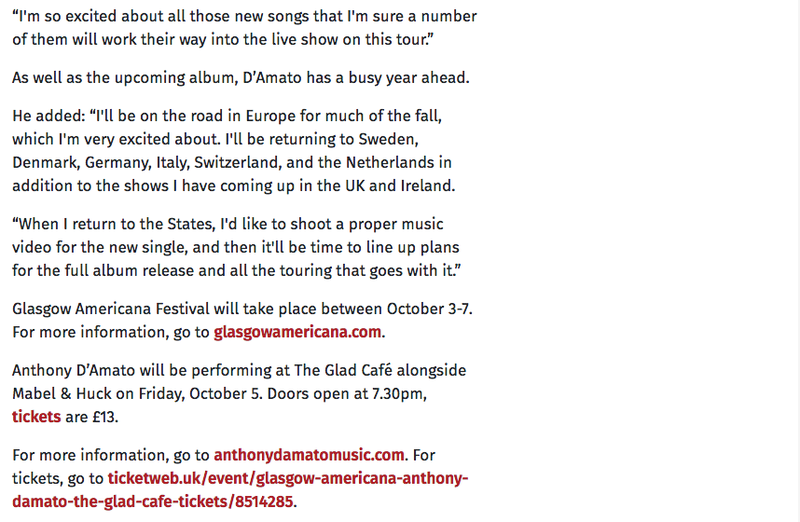 I thought it might be nice to relax and take it easy before the madness of tour really sets in. Instead, I spent it doing what I always do, driving for hours in search of a photograph. 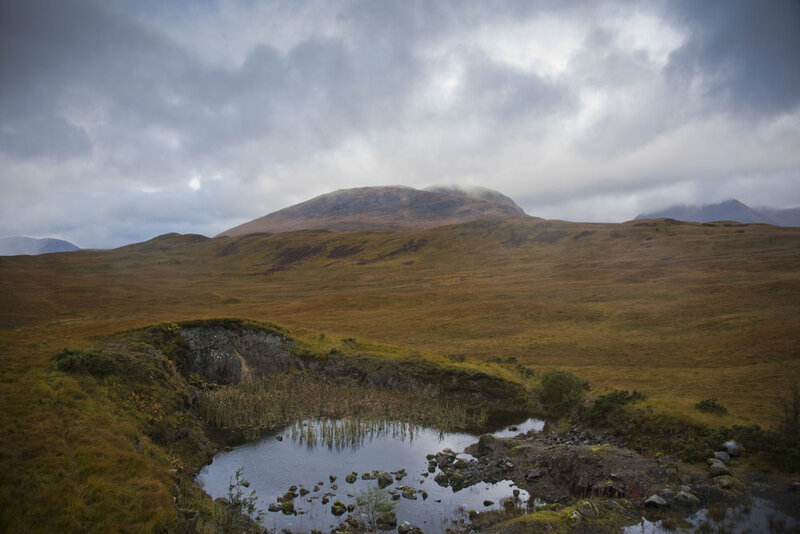 I landed in Glasgow around 7:30am and headed north and west, tracing the banks of of Loch Lamond toward Glencoe. 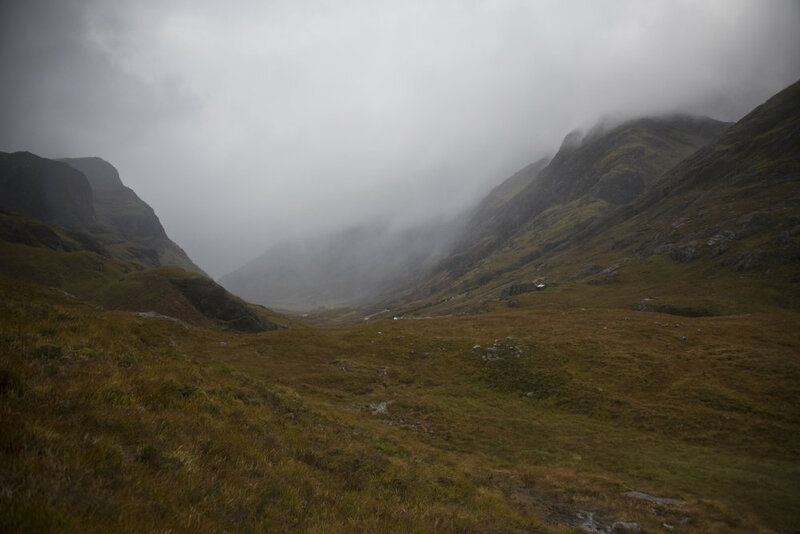 The weather was wild, even by Scottish standards, which added to the challenges of driving on the left side of some extremely narrow roads. One moment, I’d be in a torrential downpour, the next, the hills would glow orange and gold as the sun peeked through. 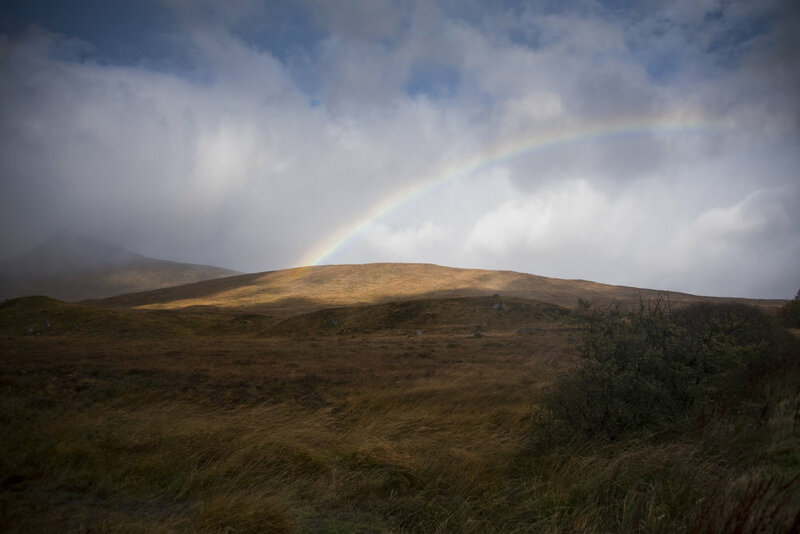 Rainbows would appear and disappear before you even had time to grab your camera. The wind was intense, physically moving me while I took photographs and attempting to steer my car at times while I drove. 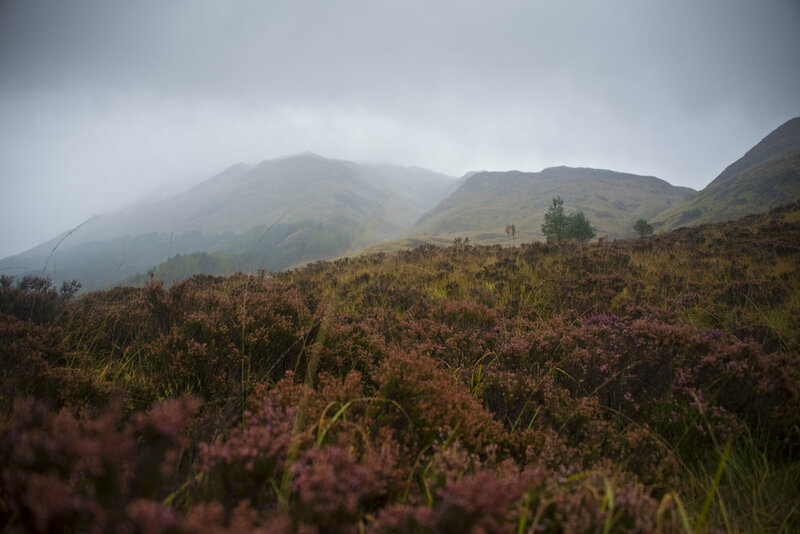 It’s hard to describe the landscape of the Highlands, because it’s actually a lot of different landscapes all smashed together: jagged coastline with rough water, rolling hills with green pastures, imposing mountains with sheer cliff faces. It’s intimidating and beautiful all at once. 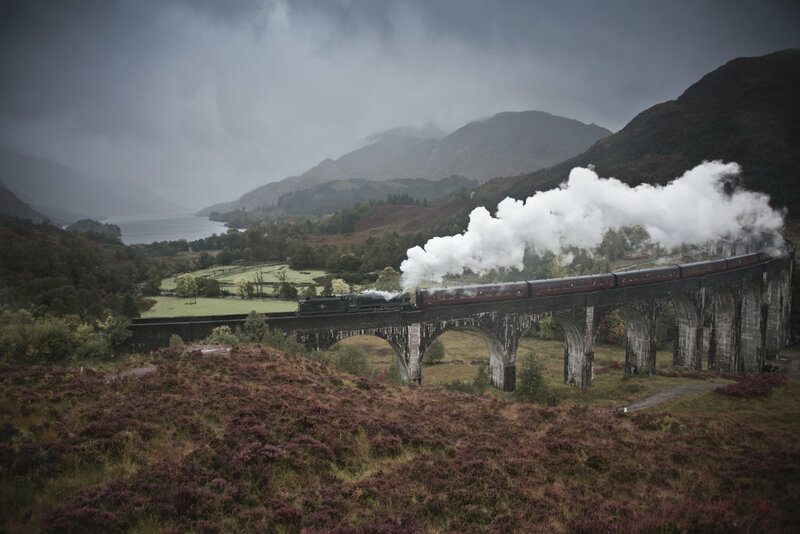 After stopping in Glencoe for a lunch of langoustines (a local favorite that’s somewhere between a lobster and a shrimp) and cruising through Fort William, I turned due west and followed the tracks of the historic Jacobite steam train to Glenfinnan Viaduct. Opened in 1901, the bridge is 1248 feet long, 100 feet high, and curves like a children’s toy. Twice a day, a steam train passes over, spewing smoke and cinder, and for just a minute, it’s easy to forget what year it is. The bridge has become a major tourist attraction in recent years because of its prominent role in the Harry Potter films, so even in the pouring rain, I watched a steady flow of visitors come and go from my vantage point high on the adjacent hillside. Everything I was wearing got so soaked in downpour that I had to go back and change in the backseat of my car (no easy feat in a tiny British vehicle). Once settled back in Fort William for the night, I took a stroll along the waterfront at sunset, picked up a book of 1950’s Norman MacCaig poetry inspired by the Highlands to keep me company, and set about drying my clothes on the radiator in my tiny little attic bedroom. 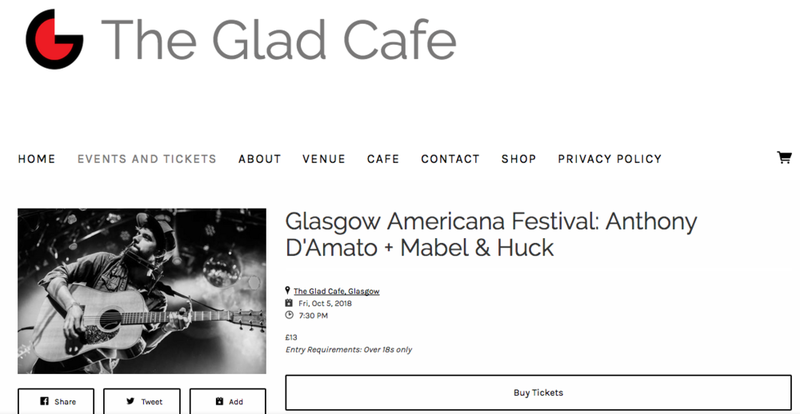 Shows kick off tomorrow at the Glasgow Americana Festival—it’ll be my first ever headline performance in Scotland and I can’t wait. Hope to see you there!